Fans from all over the world share stories about what happened to them during the tournament in Russia. “The World Cup made me super-famous. There are so many articles about me in all kinds of media all over the world”, says Marta Barczok, an accountant from Poland, who lives in London. She first became popular among football fans a couple of years ago while supporting the Polish team at the Euro 2016 in France. Her photos went viral and she was named the most beautiful Polish football fan. Marta started a modeling career soon after. But it was the World Cup 2018 that took her popularity to extremes. 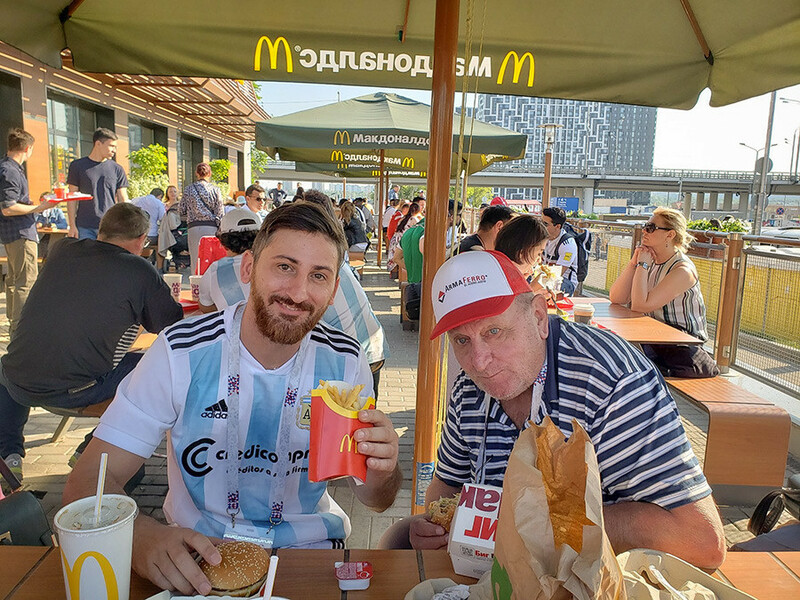 “My pictures from the World Cup 2018 were everywhere. FIFA, the main organizer of the World Cup, even posted my picture on their Instagram profile. People loved me, they called me a Polish beauty and the Polish media called me the Polish Miss World Cup,” Marta explains. Thanks to the media attention, she got plenty of new modeling and business contracts, she says. 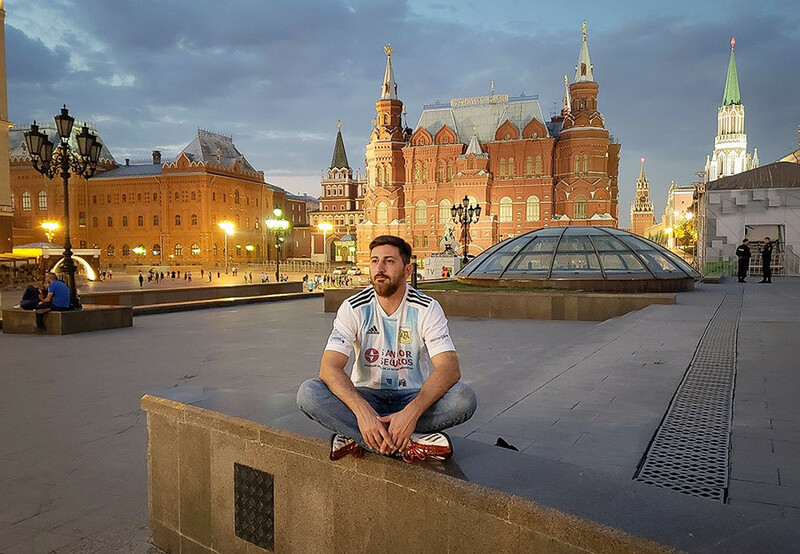 Juan Tomas Martin, a medical student from Argentina, found the love of his life in Saint Petersburg. He met Arina, a Russian girl, in Barcelona a year ago, but it was not until he came to Russia for the World Cup that their relationship took off. Juan just hopes it does not turn into a Shakespearian tragedy, because the parents of the girl might be against the romance. “If it was for me to decide, she would have come with me to Argentina but her parents do not know anything about us. She never told them that I came to Russia because her parents do not like foreigners. They believe that she cannot have something serious with me because of the distance that separates our homes,” Juan explains. Another part of this peculiar story is that Juan attracts a lot of attention, as he looks a lot like Lionel Messi. 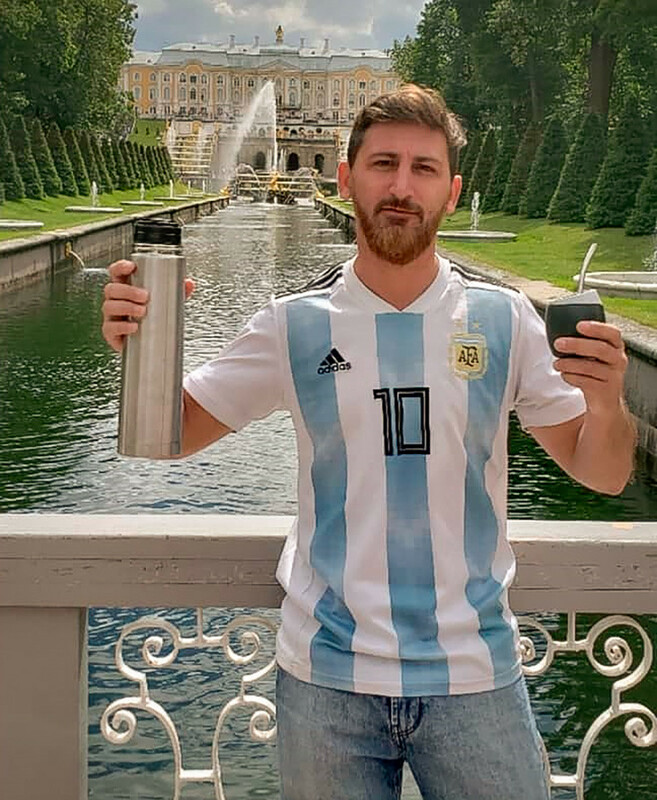 Since 2013 he even has been acting as a double of Messi in TV shows, events and commercials in Argentina. During this World Cup Juan also did some business by charging fans for selfies with him. “On the day of the Argentina vs Nigeria game I made nearly $200. I could not believe it!” Juan boasts. 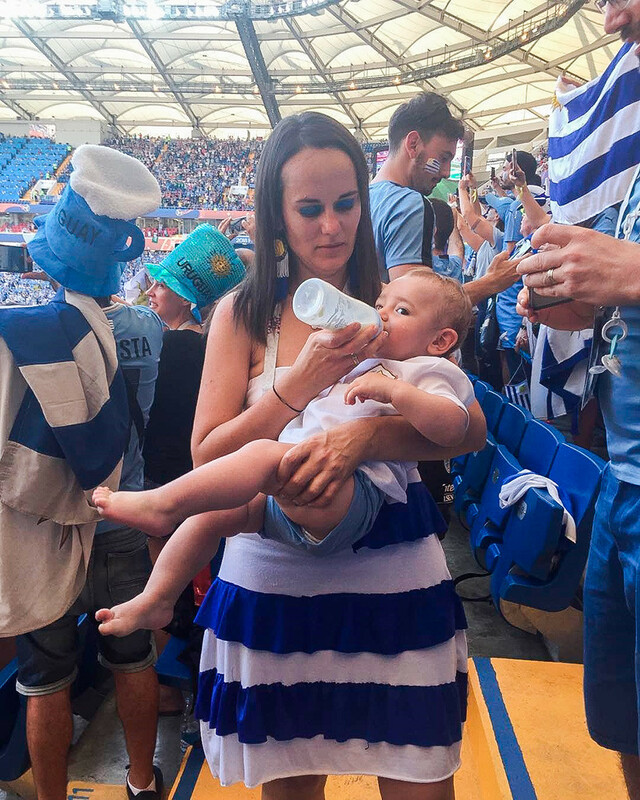 Probably the youngest fan of the World Cup 2018 was only 9 months old when he came to Russia. “It was the first time we had traveled with our baby Jose Antonio — and for such a long distance! We took 9 planes and two trains during this trip,” says Gimena Rodriguez, who is responsible for labor relations in the local government of her native San Jose in Uruguay. She traveled to Russia with her husband Esteban Arosteguy, an agronomist, and a teenage cousin Erica to support their national team. 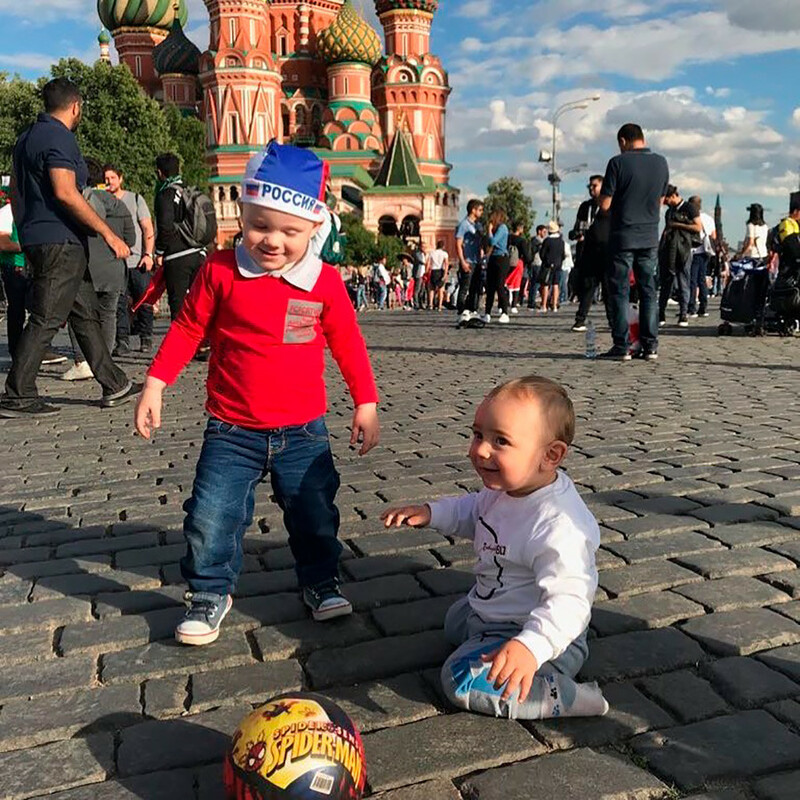 “At first we were really scared to travel to Russia with a baby but then we were surprised by the kindness, respect and cordiality of Russians. They were always willing to help”, recalls Gimena. She admits they had a mistaken concept of Russians because of the stereotypes created by US films and media: ”We thought they were cold, closed and unfriendly people but we found out that the reality is totally different”. The championship completely changed her perception of Russia, she adds.